14 stages from last years Rally of Wales 2008 using google earth path data for course and filled elevation. Install Instructions: extract wrctrackpack folder to rfactor/gamedata/locations folder. Directions to start a stage: Exit from pit area and proceed to the large black advertising banner. Stop just before it and wait for the countdown to reach the red 0. Timer will start as you cross under the large black advertising banner. Some stages are setup for multiple layouts to come in near future. AI should work for all UK stages but are much faster on tarmac than gravel. Pit crews may point you in the wrong direction when leaving pits on some stages. Dedicated to/with thanks to: isi for rFactor and some stuff from their tracks, Piddy for the awesome BTB, various Xpack donators thank you so much for your xpacks, Google, planetemarcus.com for thier kmz paths of all stages for 2008, Dave Noonans 3dsimed, LegendsatLunch for some trees and pit things, Frank#55/bugbear for some stuff, RaceKing/Codemasters for some ferns and weed, scigames for rbr road textures with thanks to and wixi for the rbr xpack, Krunch for skybox and settings, DiscoCandy for the sky textures, FOG>RT-1971 for the tips on timing and the count down timer from his beta drag track, DVD-Motorsport-King (os-chris) for his testing help and knowledge, Peter, Alex and Ian for beta testing, Pete and the guys at rfc, the oversteer community and team fog. There are currently no setups for WRCTrackPack UK. Add a Setup. the link is broken. "Delete or invalid url"
Where is the link for download the TrackPack? thanks for your kind words. its because you need to think of all different levels of players. rfactor is not about rally and if you do rally in rfactor its just for fun, so enjoy these tracks. ps you will find some are tighter, and thusly better than others, if you took the time to look through all 20 or so tracks in this trackpack. Why do all the "rally" tracks look like need for speed tracks? 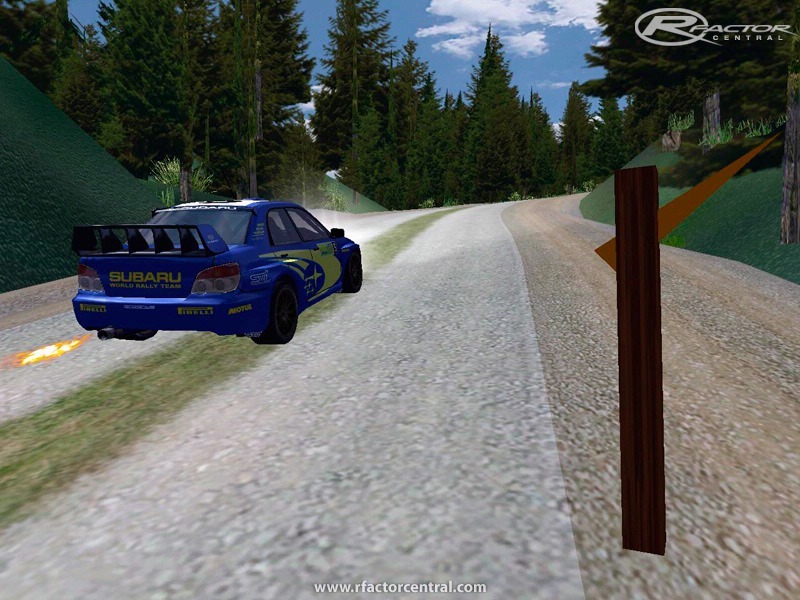 Rally stages aren't wide.Where are the sharp bends,trees close to the track ,ditches etc?